Tired of software updates and being chained to a computer? Experience unlimited mobility with Philips SpeechLive - easy, affordable and Australian based hosting. Speech Processing Solutions, the world's number one in professional dictation, recently launched an update of its cloud-based workflow software. Philips SpeechLive is a secure cloud solution which allows users to access and manage their dictations conveniently via their smartphone and web browser. Customers enjoy unlimited mobility, intuitive software handling and an easy pricing structure. State-of-the-art encryption standards and Australian based-hosting ensures maximum data protection at all times. Authors can record their voice as usual using any Philips voice recorder, their smartphone or any digital recorder. Their familiar dictation routine remains unchanged with Philips SpeechLive. Easy uploading occurs via USB connection on PC. If the user owns a voice recorder with a Wi-Fi function, such as the Philips SpeechAir or a smartphone, the audio files can be sent to SpeechLive on the go, when the user is still outside the office. “Our customers enjoy the simplicity of this solution. They value the fact they can start using it immediately without having to change their dictation device and habits. 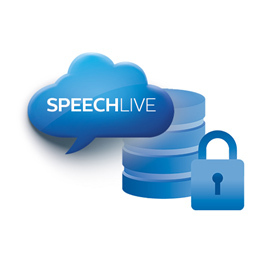 We also have customers that use Philips SpeechLive with our smartphone app only. 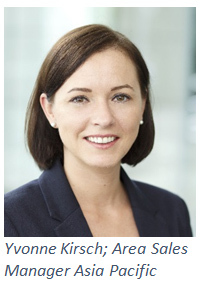 You can have a professional dictation solution with a smartphone and a laptop,” explained Yvonne Kirsch, area sales manager for Asia Pacific at Speech Processing Solutions. The user interface of the browser based software is simple, intuitive and minimal training is necessary before an author can start being productive. Once the user has allocated an administrator for the software, additional users can be added easily and assigned with an author or transcriptionist role. Workflow settings can be changed quickly and all settings can be altered online, from anywhere, anytime. Also, assistants can take advantage of being location independent. The recorded files can be accessed, played back and transcribed on any computer using only the internet browser. Working from home is no longer a problem. For even more convenience, Philips also offers a foot control which can be used to control the audio player functions within the browser. Philips SpeechLiveprotectsthe author’s dictations by encrypting them during recording andonce againwhen they are sentoff, as well asstoring themsecurely in the cloud in an encrypted format. This means end-to-end double encryption and protection from unauthorised access. “The solution meets all Australian legal requirements for data transfer and data storage, guaranteeing that your data is kept safe at all times.Additionally, theAustralianbased data centre results in even better software performance and reliability”,adds Kirsch enthusiastically. With the new SpeechLive web recorder* customers are now able to create dictations directly within their browser, without having to install any additional dictation workflow software. Users can dictate using their favorite Philips dictation microphone, such as the Philips SpeechMike Premium Touch or the soon to be launched brand-new Philips SpeechOne Wireless Dictation Headset, directly within the browser-based application. The recordings can be professionally edited within the browser (e.g. insert, overwrite, append, adjust volume and add dictation properties).